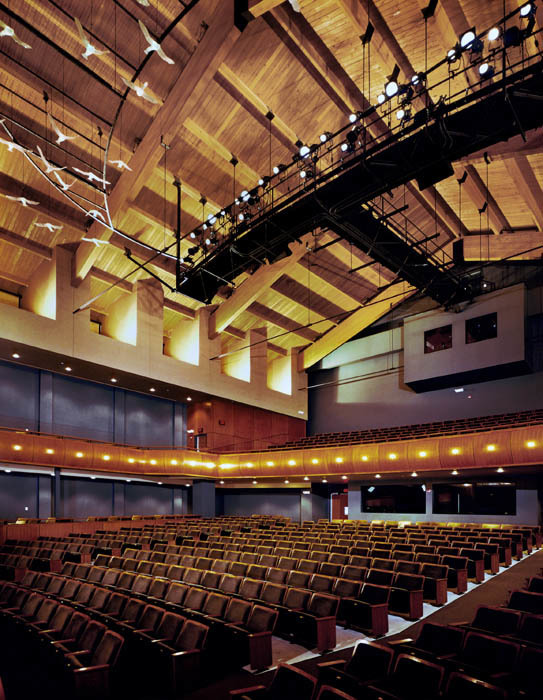 A level of intimacy is achieved for concert-goers and performers alike in The Harris Theater. All seats, from boxes to balcony, have close proximity to the stage. 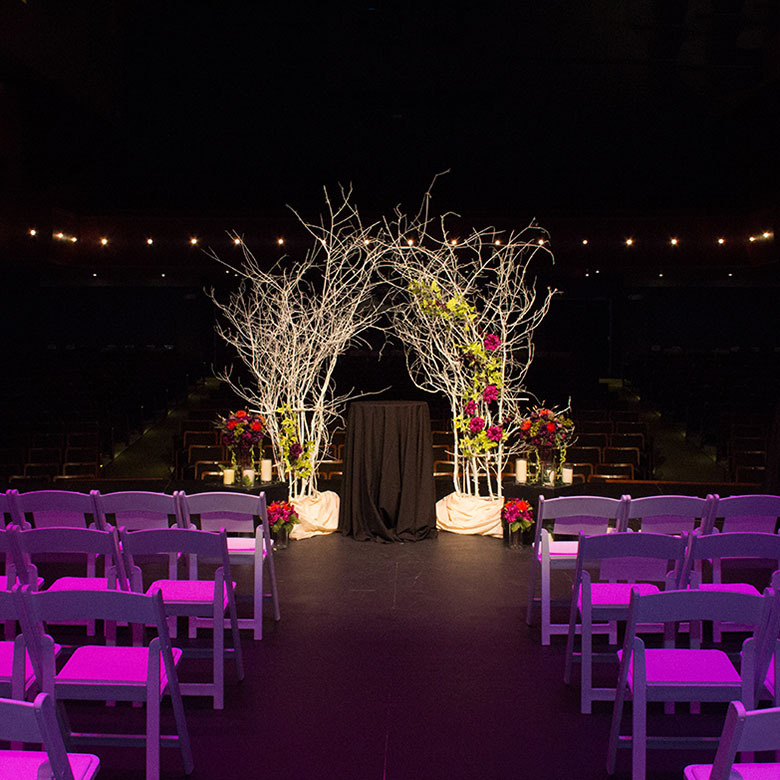 The exceptional state-of-the-art sound and well-planned design provides the flexibility to accommodate orchestral and dance performances, plays, lectures, formal meetings, seminars and even dinner. Flock, a unique installation of hand blown glass birds by Oregon, Wisconsin artist Steve Feren, soars overhead. 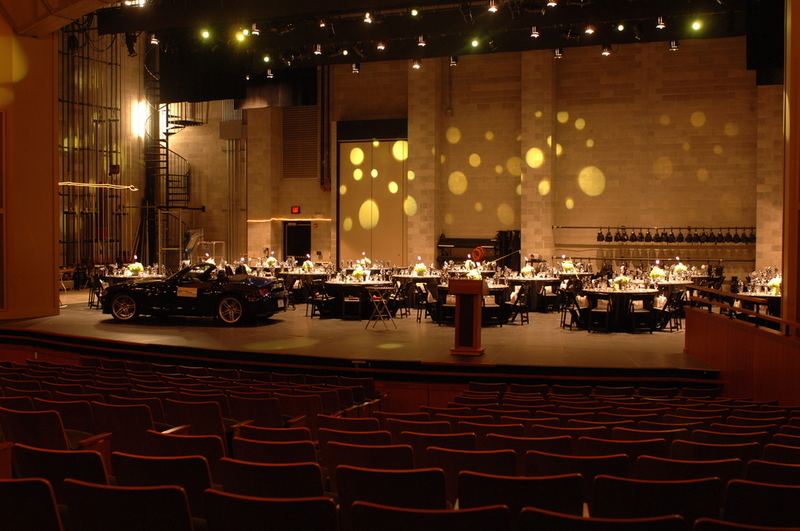 The stage is large enough to support a full-sized professional symphony orchestra, yet intimate enough for chamber music or theater. The orchestra pit accommodates up to a 26-member instrumental ensemble.